 Get Exclusive Horoscope Prediction For Leo! Dear Leo, August has prepared something really special for you and you’ll get many new options to choose from. To start with, it will be sometimes pretty hard for people to understand what you really mean by your words. Then, your past will follow you making you choose between your past decisions and your new way of thinking. A Solar Eclipse in your sign on August 11 will open all the doors to your ambitions that will help you release your unlimited potential. However, be more careful in your love and career as Mars will turn retrograde in your relationship sector. It will only turn direct closer to the end of the month, on August 27, helping you establish a new genuine partnership.